CHICAGO, IL--(Marketwired - Jan 23, 2014) - Dr. Sheldon Seidman, a cosmetic dentist in Chicago, says when patients begin to notice problems in the mouth, this usually means an oral infection may already exist and could have progressed to other parts of the body, posing even greater health risks. Dr. Seidman notes many gum and mouth infections, like gingivitis and periodontal disease, are relatively painless in the beginning, misleading people to believe their mouths are healthy and free of infection. This may cause patients to avoid preventative dental care and oral exams by their dentists, allowing the bacteria to multiply and spread. However, if properly treated in the early stages of infection, the bacteria in the mouth can be reduced before it harms other parts of the body, says Dr. Seidman. He notes that this is why it is very important for patients to receive regular dental check-ups at least twice each year to maintain optimum oral health. In a recent blog post on his website, titled "Proper Dental Hygiene is Key in Preventing Oral Infections," Dr. Seidman explains that many serious diseases often begin as bacteria in the mouth from oral infection, including colon cancer and heart disease. He says bacteria in the mouth can multiply and move around to plague other parts of the body. Also in his blog, Dr. Seidman says chronic bad breath, puffy and bleeding gums, and loose teeth are a few signs of an infection in the mouth. He notes alcohol, a poor diet, smoking, and poor dental hygiene as some of the factors which could cause an oral infection. While brushing, flossing, and practicing proper at-home dental care can help to prevent oral infections, it's important to visit your dentist at least twice a year for maximum preventative maintenance. Dr. Seidman says his office uses the latest advanced technology for dental cleanings, as well as fluoride treatments to protect against bacteria, and scaling and root planing to remove tartar and bacteria build-up deep within the gum tissue. Dr. Seidman recommends everyone visit a qualified dentist to have regular cleanings and treatment to protect their overall health, avoid serious oral diseases, and maintain a beautiful, healthy smile. After finishing his general dental education at Northwestern University Dental School, Dr. Sheldon Seidman also completed advanced cosmetic dentistry training from the prestigious Pacific Aesthetic Continuum and the Las Vegas Institute for Advanced Dental Studies. Dr. Seidman is a member of the American Dental Association and the American Academy of Cosmetic Dentistry. He shares his expertise with dentists around the world as a clinical instructor of cosmetic dentistry for The Pacific Aesthetic Continuum, where he is also the Chicago program director. Dr. Seidman is available for interview upon request. 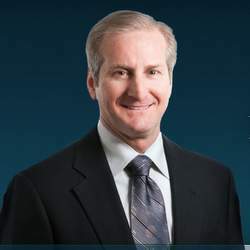 For more information about Dr. Seidman and his practice, please visit smilechicago.com.